The hotel is gorgeous. The villa with swimming pool a dream. Complementary tea in the afternoon is a nice addition. In room dining cost the same as in the restaurant. It is great to have lunch in your own villa. The staff is super helpful and friendly. I liked the resort’s idea it’s very green and nice and each villa has its own complete privacy , the stuff is really amazing, friendly welcoming and they’re really the best thing in the resort. Beautiful Ocean facing villa with pool. The professional approach to hospitality. The attention to detail. Wide variety of food options. There are no words to describe how stunning the villa was and how blown away we were by the staff and the property. The breakfast included with our room rate was always fresh and enjoyable, and they have amazing fresh fruit smoothies. We had a beachside dinner and we have never been treated so attentively and graciously. We would stay here always, even with the need for a car service because of the total privacy (which is also part of its charm). The staff was friendly, the pool was big and clean, the spa was in average price and high quality. The have a free bike.the view of the breakfast restaurants is amazing. Everything. The Staff, the villa with pool, the food, the attention to the detail, the transport services, the massage quality and the location as well. This is truly a gem for a reasonable price! Overall, the friendly and attentive staff, excellent service. Well organized activities with a wide offer of tours. Helpful when arranging private tours. Daily effective room and pool cleaning service. Feeling secure, welcome and taken care of. The serene surroundings, the beauty of the villas, the wonderful staff, the delicious food. A lovely place to spend a romantic few days! Great little romantic place located in Tabanan regency. Perfect for avoiding crowds. 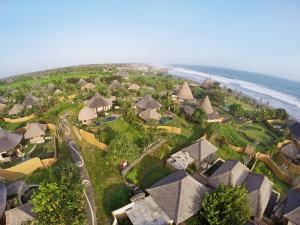 Lock in a great price for WakaGangga – rated 9.3 by recent guests! 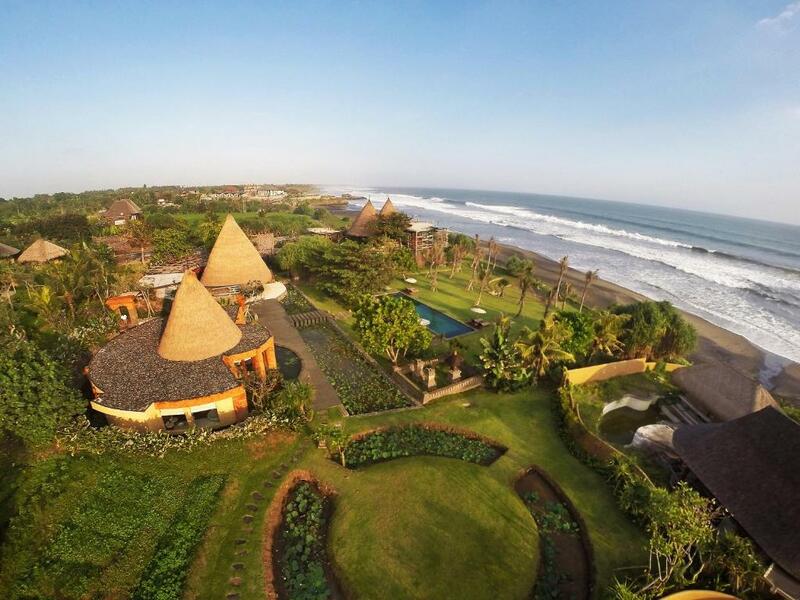 WakaGangga This rating is a reflection of how the property compares to the industry standard when it comes to price, facilities and services available. It's based on a self-evaluation by the property. Use this rating to help choose your stay! Fitted with wooden flooring, all villas are tastefully appointed with an electric kettle, iPod dock and a flat-screen TV with DVD player. Select units feature a private pool, while all private bathrooms provide a bathtub, shower and a set of free toiletries. 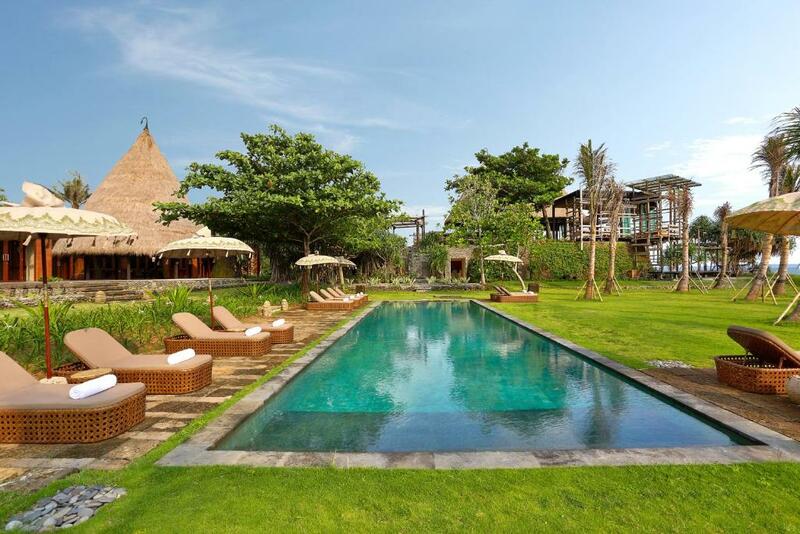 The property is a 30-minute drive from Tanah Lot Temple and a 45-minute drive from Alas Kedaton Monkey Forest. Ngurah Rai International Airport is 90 minutes’ drive away. Staff are available to assist with airport transfers, laundry requests and area shuttles. Day trips can also be arranged on site. Guests can enjoy a variety of international favorites in the restaurant. When would you like to stay at WakaGangga? Featuring a terrace overlooking the garden, this one-bedroom villa comes with an electric kettle, iPod dock and a flat-screen TV with DVD player. The decor features locally sourced timber and ethnic furnishings. Private bathroom provides a bathtub, shower and free toiletries. Fitted with a private pool and terrace overlooking the garden, this one-bedroom villa comes with an electric kettle, iPod dock and a flat-screen TV with DVD player. The decor features locally sourced timber and ethnic furnishings. Private bathroom provides a bathtub, shower and free toiletries. Fitted with a private pool and terrace overlooking the ocean, this one-bedroom villa comes with an electric kettle, iPod dock and a flat-screen TV with DVD player. Private bathroom provides a bathtub, shower and free toiletries. House Rules WakaGangga takes special requests – add in the next step! WakaGangga accepts these cards and reserves the right to temporarily hold an amount prior to arrival. Wine list should have a few imported wines. The beef burger wasn't very good. 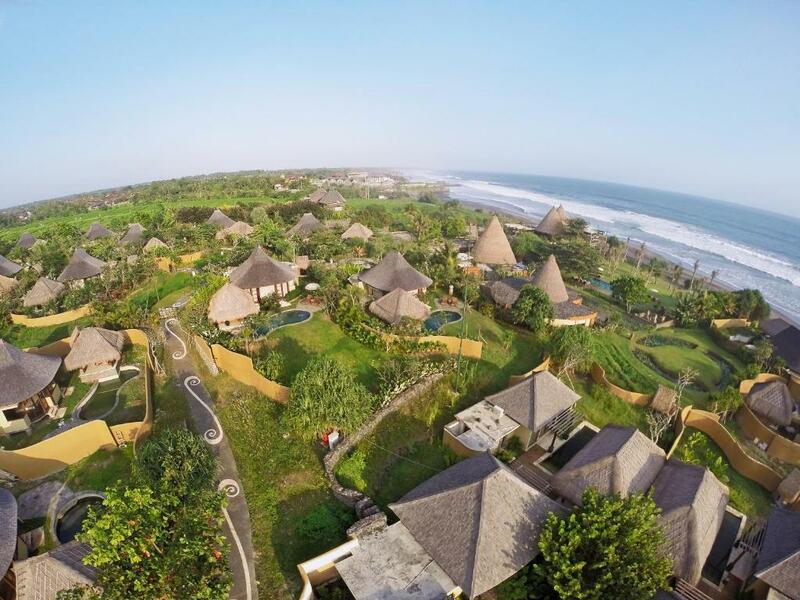 As a guest of WakaGangga in Tabanan, you will be depending on a chauffeur or at least renting a scooter, which will be an extra expense when wanting to explore other corners in Bali if staying at the same place. 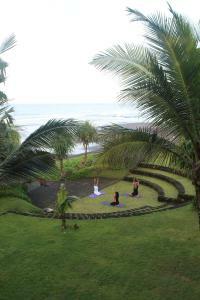 Although there are offered some basic activities in the surroundings that are free of charge. The distance from any entertainment. And the inability to swim in the ocean due to the strong currents and the amount of rubbish the waves bring in. 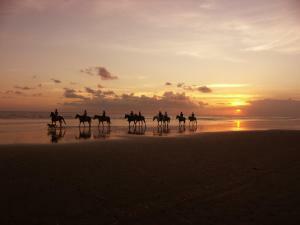 Unfortunately its remoteness is also a double edged sword, although the hotel has transport out to various attractions. But given the nasty traffic jams in Bali these days, I rather stay in the resort. staff are very polite and helpful. Always with a smile on their faces.The place is extremely clean. Amazing breakfast, room service and tapas. I would recommend getting a villa with pool..we played friz-bee and sipped watermelon juice... It was like a dream. Everything! 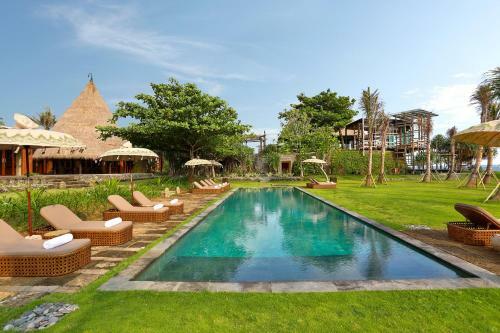 Such a delightful hidden gem away from the busy areas in Bali. Great place to relax with beautiful grounds & lovely villas. The staff were so wonderful always keen for a chat & remembering our names. Food in restaurant was excellent, particularly the Indonesian selection on dinner menu. We live in Bali so this is a great place for us to escape- we will be back! Staff was helpful and amazing. The place is magic. People food wonderful. The best place we have ever been and we travel a lot. We Will come back. I was looking for a place to relax and this was it. The staff are great the pool was great the restaurant was great. Very quiet and peaceful. i asked for a late checkout since my plane was late and they gave me another villa for 4 hours free of charge. The waves are large on the beach not good for swimming, but on the upside you could hear the sound of the ocean all day and night, very relaxing. The location is not great since it is very isolated and there is nothing around it: one or two options for restaurant, no shops, no supermarkets. If you are planning just a relaxing stay, it is the perfect hotel. If you want to visit other places, keep in mind that you have to add an hour or so by car to go anywhere. The food is good but will not blow your mind. And you should expect to have your meals there since there is no other options around. Price of food is a bit expensive for what you get, but that is to be expected in a nice hotel like this one.